The Society of Participatory Medicine supports “a movement in which networked patients shift from being mere passengers to responsible drivers of their health, and in which providers encourage and value them as full partners.” This concept seems especially essential for anyone whose quality of life is constantly adversely affected by a health condition: get in the driver’s seat. 1. I want to learn about my health issue(s). * I feel I have sufficient skills and capabilities to be participatory. * I understand that, along with the learning and empowerment process, come stresses, disappointments, irritation, frustration, and exhaustion. 2. When I don’t understand something, I ask for an explanation. * In the doctor’s office, I seek strategies to improve meaningful communication, and ask that jargon be written down so I can do my own research. * Before a doctor’s appointment, if I’m fearful, I research my symptoms and conditions to the best of my abilities, and bring my questions with me. 3. I’ve learned to do my own research, using a combination of keyword searches, seeking out communities of interest online, talking things through within my communities, real and virtual, and, when the appointment comes, consultation with my primary care physician and/or another appropriate healthcare professional (e.g. chiropractor, pharmacist, or occupational therapist). * If I’m referred to a specialist, I repeat the above process. 4. I get copies of any and all laboratory reports. * I likely will not understand much of what is in the report, so when reading something that worries me, I try to keep the anxiety at bay until I go over the results with my primary care physician. * Waiting until the doctor’s appointment can be stressful, but I consider it an opportunity to learn something about my body, and to learn what to watch for in the next report. * Where electronic health records (EHRs) allow, I ask that my comments be noted in my health records. 5. I do my part. * I maintain a healthy lifestyle, and try to do all the “right things.” * If I have issues (eg, with various meds or side effects) I move quickly to try to get them sorted out and to resolve them. * I’m willing to accept help. * I make sure to keep my primary care physician in the loop, and ensure that my comments are incorporated into the EHR. 6. Sometimes I don’t do, sometimes I can’t do. * I make choices that aren’t/may not be in the best interests of my overall health. * I accept responsibility for these choices and expect them to be respected. * I accept that when I’m not feeling well enough, I can’t be as actively participatory. 7. My health care team. * I try to establish rapport with my team of health care professionals, for a relationship that is mutually respectful and provides me with the best possible care, as well as caring. * I recognize that trust is gained over time. * I rely upon my health care professionals because of their training, knowledge, and perspective. * My communities, real-life and virtual, are also part of my health care team. 8. I trust in myself, and to the extent possible, in my ability to make good decisions about my health care. 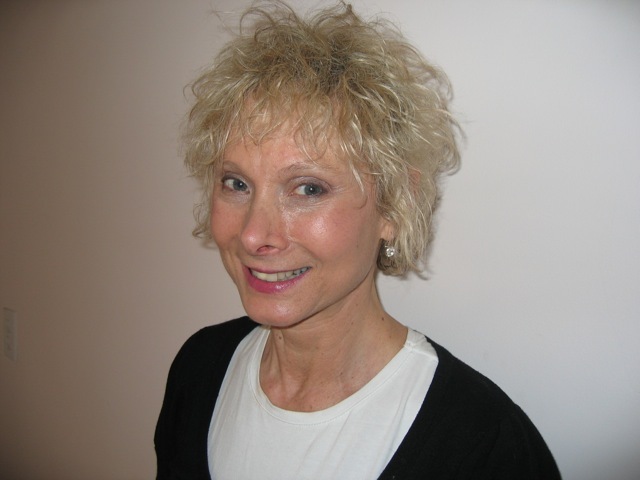 Kathy Kastner is your roving reporter in the real and virtual universe of aging, always seeking ways to grow old with dignity, living life to the fullest, and with as much joy as possible. She is the curator of Ability 4 Life a site dedicated to elder care resources, and Best Endings, a comprehensive guide to end of life decision making.